"I have always been deeply passionate and dedicated to my calling as a psychotherapist, expecting the best from myself and working for a higher good. My life's purpose is to help people Heal.Grow.Thrive. And I firmly believe in the power of psychotherapy as a healing medium. When I asked people to comment on the therapy process, I anticipated a few general, unemotional lines. But what people wrote inspired me and deepened my faith in this healing process. I want to share these reviews with those who are contemplating therapy to help you make the decision whether this is for you. Each testimonial has been written by those who are comfortable sharing their experience with the world. For purposes of privacy, some people have not disclosed their names or last names. I am deeply grateful to those who wrote in and I hope you will be inspired to take action and find the healing that brought you to this website." Imagine walking into a world where no one judges you for being yourself, where you are constantly pushed into a state of bliss, and where you are made to redesign your thinking into a beautiful mental framework of positivity, energy, and happiness – that world, for me, for the past many months, was made up of Mansi’s psychotherapy sessions. Mansi makes you feel at home from moment one! She’s a friend you trust, and it’s like she understands you better than you thought you understood yourself – in all honestly, if you feel even the slightest of anxiety, or are suffering from the mildest of depressive episodes, or simply need objective, considerate, meaningful, and life-enhancing advice on anything ranging from your career to your relations to something that’s been bothering you for a while, BOOK AN APPOINTMENT with Mansi now! From personal experience, she’s a God-send! I am in a MUCH better space in life now and I consider myself fortunate to have gotten to know Mansi – more than an extremely knowledgeable professional, she’s a person you’d love to open up to, and you know, when you walk out of her chamber after your session, that she’s not just executing her professional responsibilities by being consistently awesome at what she does, but that she fully empathises with you, cares about you! I remember a particular instance when I literally messaged her out of the blue – “I need you to be there, Mansi, please”, and a simple reply from her saying she is, and will be, there, and will get me out of the misery my mind had put me in, was all that I needed to take that one step forward towards that insanely (now) amazing process called life. Therapy is the simplest route to find ‘your way back home…’ Life Situations/circumstances do shake us up and we do get lost.. but this is the time when – “We need to Move from the ‘idea of control’ to the idea of SHIFT!” ~Mansi poddar… And this is the time in life when a ‘therapist’ walks in and helps you REINVENT yourself. Therapy – is this journey on which you along with your therapist walk on with zero expectations. Its like filling in the blank spaces and completing your own story with a lot of love, faith and belief. Its a journey to the core of INNER CHANGE. It is like re-connecting and accepting yourself. I am now slowly starting to OWN MYSELF AGAIN. Mansi Poddar just helps you recognise your own strength and courage. She helps you fall in love with yourself again. I say – Its magical because everything that comes out of these sessions, are things that you already know and are capable of achieving but have simply forgotten about them. Mansi is a very down to earth, relatable and a warm person who helps you find your way back home! Thank you Mansi ! Mansi Poddar is a very good psychologist, I would say she is Brilliant, Great counsellor, Great listener. I would definitely recommend Mansi Poddar to anyone who is facing any problem concerning such psychological problems. She was patient enough to listen to all problems.I was there with My son, she cleared my doubts, filled with positive thinking and i am sure she will go many miles all the best for her future endeavors.An expert’s help is always required in many situations where we cannot share the problems with our family and friends. I am glad I took this decision and felt really positive about my son after consulting her. She boosted up my son with her positive attitude. I hope she is able to help many others and improve.She is just excellent in her profession. Doing great. Wishing her all the very best!! It is very unfortunate that in today’s world, where health and fitness is so highly emphasized, that we often tend to ignore the mental aspect of good health. Depression, anxiety and stress are often frowned down upon, often condescended to the inability of the an individual to copy with external pressures of the 21st century world. If you asked me a few years ago, I’d have never imagined that I’d need therapy at some stage of my life, possibly because Id always thought of myself as a tough, resilient soul, and needing to seek a therapist would’ve been almost an ego issue back then. However, certain events in life occurred that forced me into an abyss of sorts – moving cities, changing jobs and sectors, certain disagreements with my family, a personal and professional move I didn’t enjoy at all. i reached a low phase in my life where I couldn’t cope, and realized that I was no longer that happy, active, energetic person I’d been in my earlier job and the city I’d previously lived in. At this stage, turning to Mansi was not exactly because i felt i needed ‘therapy’ , rather more because I felt the strong need for an impartial, non-judgemental third person in my life, someone with whom i could share what was going on in my mind, possibly even vent out my unhappiness and frustration. I have been under Mansi’s counseling and therapy for almost a year, and it truly has benefitted me tremendously. 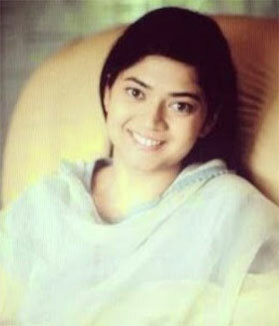 Not only was Mansi a patient listener throughout, but also a huge positive influence in my life during the low times. She didn’t read out quotes of famous people, or tell me stories of her previous clients. She encouraged me to face my fears, and find answers within myself. From a shoulder to cry on, to a huge calming down mechanism, to even the devil’s advocate occasionally, she played multiple roles in our association, all of which gave me assurance that in the end, things would work out. Most importantly, she gave me the courage to stand up for myself, and walk out of a personal and professional scenario that I didn’t enjoy, realizing through her sessions that I never would. And what’s more, she constantly advised me to work on building a positive mindset, which I soon came to realize, is one of the most powerful weapons we human beings can have. Every session with her would end on a positive note, and i’d feel stronger and fuller. Now, with things in my life much more sorted than they were, and me being a much calmer, relaxed, and happier person, I look back and realize that opting for therapy was although an unconscious, but a great decision I took. I’m not going to claim that i wouldn’t have been able to do without it, but my therapist and therapy sessions certainly gave me a lot of strength, positive reassurance and energy to fight undesirable situations and instances in my life. Should I go in for therapy? I’m not sure I’m the best person to answer this. It depends on many things – the situation of life you are in, the relationship with your therapist, and your own expectation from the person whose professional therapy skills you seek. What’s crucial to remember, however, is that feeling the need for therapy is not necessarily a sign of being weak, as some people might tell you. On the contrary, being able to approach a stranger, and share your worries, fears and problems requires a massive amount of courage. Also, the bottomline is to remember that your therapist isn’t a magician, who will wave a wand and your life will automatically sort itself out. He or she will only be a very positive enabler, who will help you on the road to self-discovery, And therapy will only work, when you, as an individual, are genuinely wanting to improve things in your life. And when a person is committed to becoming a better version of himself, miracles can happen! My journey to Mansi’s couch was full of doubt, fear and distrust. I was in doubt whether it would help me! I was afraid if mentally, emotionally if, I would turn into a dependent on counseling! Distrust was there for a third party having a glimpse into me… It was all 7 months back. But working with her, I discovered many unknown pieces inside, healed them. Her friendly, sympathetic and non- judgmental approach is assuring enough and through her help I have discovered the lost rhythm of my life. When I look back I’m amazed how far I have travelled..doubt to trusting myself, getting in touch with that lost inner voice, loving myself again… Amazing….I shall always recommend her.. Thank you Ma’am. This is to acknoledge that I have personally benefitted from my interaction with Mansi Poddar. I went to her at a time when I was under tremendous pressure, especially professionally. I had taken on too many tasks and been failing deadlines. That in turn reduced my self belief. Mansi heard me out over several sessions. Finally, she said that my basics are strong my strategy was wrong. She advised me to break down my targets and organize them in order of priority. She insisted that I take up work one at a time and do not divert my focus unless the given work is accomplished. These words sound easy and common sensical but they are the hardest to actually practice. I tried to follow her advice for once. It began to make sense. Things were uncluttered, one by one. They are still not done to my satisfaction, all of them. But now I have a plan in place and learnt to let go. I accept now that not every task is possible for me to finish. So I now have learnt to say no, and focus only on the essentials. Mansi was a super help. She is patient, kind and yet firm and focused to the immediate task at hand. I strongly recommend her. You made me aware of my “self” and told me that being me is more important than being what others wanted me to be. You told me that its OK to cry and embrace my pain, that its not necessary for me to always pretend that I am strong on the outside while I am falling apart from within. You helped me realize that instead of running after a lost cause I rather needed to channelize my energy to make the rest of my life beautiful. You gave me the courage to take charge of my life back into my own hands, which I had happily thrown into the mercy of hideous people. I am better now.. With your support, I feel I have become well enough to stand again. All I need to do is to start walking again. One step at a time. With you being there to guide me. Always! I have been under Ms. Mansi’s care for around 3 months now and I have been hugely benefitted by the sessions with her. She is highly professional, empathetic and articulate. She makes you feel very comfortable and safe, and very patiently lends a ear to all your problems. The cozy and comforting environment of her office also contributes to making the atmosphere appear very friendly and informal. I highly recommend her to anyone who maybe in need of such care. I was leading a hopelessly depressed life until I came to know Ms Mansi. I’m a doctor by profession and had everything materialistically feasible but no mental peace. I had been under ms mansi’s counselling for last 2 months. Things have started moving in a positive direction. I m more confident positive n leading a professionally satisfying life. Going to a therapist initially made me think what change can anyone bring to your life !! But today i can say that YES my life has changed . When i started i had no perspective towards life .. Its with mansi mam that i started gaining perspective.. Having a really low self esteem it was she who taught me how to respect urself and to differentiate between the right and wrong.. Self worth is one of the most wanted quality which she gifted me with and m still learning i wud say !! The most patient ears i have eva had and at the same time full of compassion and empathy. Even the stupidest talks of urs is important to her .. Yes i can talk to her about anything .. She understands me like a true friend ..!! Thank you would be less but still thats the only word that is there ! So thank you mam for everything ! when i met mansi i was in a really bad state, i had reached a really low point in life and getting in touch with her was the best decision i ever made. she has an incredible approach to assist you to identify the root cause of your problem or whatever it is that is holding you back. My experience was of great benefit to me, the conversations i had were very constructive and i was eventually able to move past the sense of emotional blockage. She gave me all the tools that helped me replace negative thoughts about myself with positive ones.No matter how I may have felt upon entering her office, i have always felt ten times better when I left. Mansi has helped me in more ways than I expected, and I’m so grateful for the guidance that she has given me. My experience with mansi has been invaluable she is truly gifted and i thank her for preparing me to move forward in life. It’s a great pleasure to wholeheartedly recommend Mansi to people who are having any kind of emotional or psychological setbacks in their lives. Mansi’s workshop was full of positivity, as she is a wonderfully positive person. I was able to recognise how our thoughts effect our whole day and the people around us. Good job! loved your workshop, it was insightful yet light. Keep up the good work. It is my absolute privilege to know Mansi and I couldn’t ask for a better guide in life. From the moment I first stepped into her office,I felt I had arrived at a place of hope and healing. Mansi epitomizes the ideal of what an ideal psychotherapist should be. She gives off herself with genuine kindness,compassion, dedication and generosity. To each session,Mansi brings a special blend of knowledge,wisdom,caring,spirituality and humour. She is someone who relates to people with incredible ease and her ability to maintain an empathetic and open stance while still holding herself to the highest professional and ethical standards is unmatched. And to top it all up with,she is as cute as a button! I mean,who wouldnt like a cute therapist?! Don’t we already have enough people around us who make us quake in our boots? Mansi has been invaluable in helping me through a period of extreme anxiety and depression. She has supported me to get over the loss of family members,my parents’ separation,to free myself from the shackles of a toxic relationship and a lot of other issues which I thought of as insurmountable trauma. As a person who has the habit of overthinking things to death,getting stressed for no apparent reason,fretting over small issues and wanting perfect order in all things I do, I often get stressed, anxious and drained out and land up with fluctuating blood sugar levels(I am a Diabetic). Mansi has guided me on managing stress and diabetes and has also helped me ease out my control freak nature by a large extent by making me realize that I do not always have to be the sharpest tool in the shed and that it is OKAY for some things to be imperfect in life. She has led me through the self examination and discovery necessary to address all my issues and embark on a journey of self growth and healing. She has been there for me to actively listen to my stream of thoughts ,to hold my uncertainities and frustrations and to be my sounding board,providing insights and encouraging me to look at my life from different perspectives. My depression and sadness have now changed into hope and a positive outlook. I have lesser mood swings and there is an overall feeling of happiness and peace. I also take better care of myself now. Even amidst chaos and stress,I can conduct myself quite well without losing my mind( Okay! Without losing my mind only to an extent. Old habits die hard,right?). I feel more aware,mindful and confident now and in complete control of my life again. I am truly blessed to have such a healthy and healing relationship. Our 9 month journey has been a continuous discovery of the fabric of my life put in a light that otherwise I wouldn’t have been able to percieve and I cannot thank her enough for that! Words are truly not enough to express my gratitude,love and respect towards Mansi. This is not the end of our journey and there is a long way to go but I feel I owe my recovery and a lot more to this wonderful,wonderful woman. Thank you for everything,Mansi! I clearly remember the first time i met mansi mam and the first word that came to my mind to describe her was- KINDNESS!! In course of my subsequent meetings with her, the one quality that i discovered about her was her EMPATHY for how i felt.Whats been specially striking about Mansi Mam is that NOTHING is too big or small to talk about with her. I have never felt more COMFORTABLE talking with someone as i have with Mansi mam. She’s helped me gain a better understanding of who i am as a person as well as unravel the layers of complexity we all have inside us as individuals. She’s somebody i completely TRUST and from my personal experiences with her,I, unequivocally, vouch for her DISCRETION and UNDERSTANDING. At this point, words elude me to even begin to express my respect and love for her. Shes more than just a professional to me. I am convinced that my life would have gone very differently had i not have met mansi mam. Thank you mam for everything that you have done for me! When i look back at myself about 4 months back…before meeting mansi, i was a complete wreck! It’s more than amusing how much better i am today. From having completely stopped working to finally having my own work place today! As a person myself, I feel blessed that i am willing to and try to look and deal with life with wider perspectives, many a times even looking at my situations from a third person’s point of view. My father being a medical student, i grew up coming across many psychologists and psychiatrist, even through school sessions. Not meeting even a single one with whom I could connect, I had declared it to myself that I would never find a psychologist who would get who I am. I am everything an Indian girl ought NOT to be. Having gone through a hell of a marriage, suffering a crazy heart break, I had slipped into depression, a state which is not understood by most Indians. One really doesn’t think and slips oneself into this state willingly. In fact one has no control over it. I had met a few psychiatrist who gave me pills which made me groggy and sleep throughout the day; and that is what I did not want. And then one fine day, i finally googled! And god or rather google gave me Mansi! I first connected with her on whatsapp. I saw her picture on her website. Being an energy person, the intuitive me immediately felt a connect with her! Yet, when i went to see her for the first time, i went having many speculations in mind, though at the same time with a very open mind. Personally for me, to have someone in front of me belonging to the same age group gave me an immediate sense of comfort. Her professionalism came across loud and clear yet it wasn’t cold. The fact that she offered and provided me with a judgement free space was enormous for me, someone who is dealing with a disease like fibromyalgia which no one understands. During the initial few months, I visited Mansi almost everyday, and many a times for a double session! I had a chance to look at various other areas of my life, my growing up, which were in my blind zone. Moreover, what’s most incredible about this lady is, that she isn’t perfect! I feel I am talking to someone as humane as me, who too has as many challenges in life as I do. Mansi is so generous to share her life, her stories, her challenges with her clients, and thats whats most incredible and beautiful about the therapist in her. In these 4 months, i cannot recall of any session or incident with her which was dramatic or enormous. She isn’t a priest preaching ‘how to live a perfect life’; and thats exactly what one needs from a therapy. We have enough ‘fixers’ in our lives already, isn’t it! The small little talks, little things to try, small ways to try to deal with a situation in a more workable way, and mostly a space and having someone you can just talk to, free, open and honest! Many a times, just having those ears and talking out how one feels loud, gives a breakthrough way into something one is dealing with. Mansi is that! Another incredible thing about her is that she is very passionate about what she does, and it comes across. She goes an extra mile to find excerpts and books which will help us. She invests in your lives even during the times you are not sitting across her. She makes you feel important and worthy, and very genuinely. Having someone who shares a bit of her life with me, her struggles, her challenges means a lot to me. I know it takes a lot of courage and strength to do that. It takes an enormous amount of dedication and commitment to share a part of oneself, especially with a stranger. Mansi has a lot of integrity. For me, being someone who is dealing with a lot of trust issues, I completely entrust in her, and the credit goes to her completely. If you want to meet a ‘humane’ therapist, meet Mansi! You will not only gain an awesome therapist but also a wonderful friend. I can’t thank you enough Mansi, you are a god sent angel to me! You are a gorgeous soul. God bless you. I was going through a huge personal crisis in life about five years ago when I started therapy with Mansi. It was a big decision for me at that point in time as because seeking therapy had quite a taboo with me. The past five years has changed my outlook towards life so drastically that it is almost impossible to write down all the changes that therapy has induced. Yet I will jot down the things at the top of my mind. • It has helped me understand myself better. There was so much inside me, which I never even realized myself. Ongoing therapy helped bring all these issues and thoughts from the deep down to surface. The pluses, which Mansi brought on the table, were offering a totally secure and non-judgmentalenvironment. Moreover I found it very easy to connect with her which was a great help in opening up to her. I would advice all those considering seeking therapy to give it a try. It is absolutely worth your time and money. Almost a year ago, A life changing incident took place which made me decide to get psychological therapy to free myself the cobwebs I felt I was entangled to since childhood, which had made me take a plunge into depression. So I decided to seek a therapist to let go of all negative thoughts I was experiencing, Which is when I came Across Mansi’s name on the internet, I was very apprehensive initially, But then went on to schedule an appointment. I can now say that this was one of the best decisions I had made in life, Mansi has a sort of effect on you,where, even when you meet her for the first time, it seems like you have known her for ages, It was so simple to just feel at ease. Once therapy started I started to feel worse than I had felt and thought therapy was not working, But after that one month I started having a whole new perspective on life, Mansi has helped me realize and know so much about myself that I never thought existed. Her ways of working have been simple but concentrated, and self-evaluative, making me improve my self-esteem and confidence tremendously. She has been such a support in helpingme battle depression, and has been a wonderful friend too. I now understand that you cannot pop numerous pills and heal your body when the real problem has an anchor buried deep within your emotions. All thanks to Mansi for getting my emotional physiological and physical health on track, which in turn has benefited me on financial and relationship front. With the most simple approach of lending her ears and opening my conscience by asking simple questions. It’s like she just shows which string to focus at, I work on it and bingo ! The knot opens. My blood pressure is now in control and I’m benefiting in many ways each day. The concept of therapy is looked down upon even to this day, in our society. People need to move ahead from the belief that “only mad people visit therapists. Hi .. I first met Mansi in January 2017..after which there was a gap till August 2017.. when I contacted her again..she was on leave and recommend Anwesha for counselling.. I must admit I was not too ok with meeting a new counsellor at that point.. From that day I had made 4 visits to Anwesha..she has been very good in terms carefully listening and identifying my problem areas by asking right questions and addressing to them properly, by giving proper guidance and advice..she gave me hope that I also can be cured.. I look forward to complete the therapy session with her… Thank you..
Depression is very debilitating and discouraging for the sufferer. It leads one to believe that he’ll never be able to get out of this ordeal. Anwesha ma’am made me believe that it was my delusion. She helped to change my thinking pattern to positive through routines and simple exercises. I’d recommend to give a try rather than suffering alone. As soon as I realised, I’m born to live a good, happy & peaceful life, but m not living one, I gave myself a wonderful gift by contacting Mansitherapy (d whole desicion making process was really as quick as a blink). Here I met Anwesha ma’am, my therapist. She is so kind, gentle, warm, friendly, compassionate, and each & every positive adjective that a person can posses. This far she has helped me – to be more of who I am, gifted me some of the most treasured memories of my life. And most importantly, is making me fall in love with myself. Recently I realised that low times are just d sign of brighter days. Ma’am you are doing such a wonderful work, helping people help themselves. Ma’am I’m extremely grateful for your kindness. May God give you happiness, health, goodness and everything you ever wanted. Thank you so much for being such a nice therapist! !